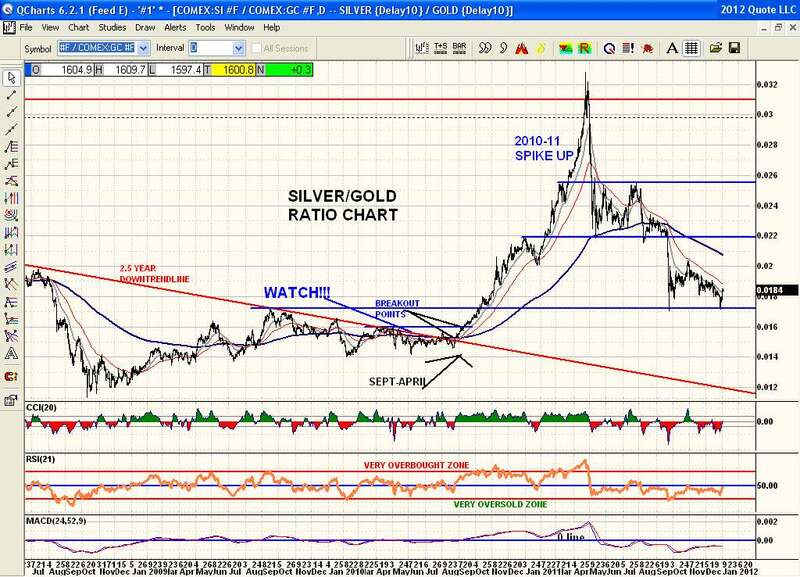 The Silver to Gold Ratio chart shows price testing long term support. This is the Sept/11 low as well as being the Sept/Oct/08 high that broke out on the upside in Oct/10. Previous test point supports have failed since April and this ratio is still in a downtrend with lower lows and lower highs along with all moving averages continuing to fall. A break below recent lows would be very bearish for Silver. Being as much an industrial metal as precious it would also be bearish for the economy in 2012 as well. The Silver price tracks Copper well for an economic indicator too. And precious metal rallies tend to 1st begin with Silver outperforming Gold. This ratio chart needs to turn back up and hold its gains to suggest a return to an uptrend is in place again.